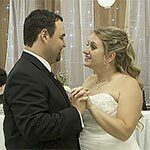 Looking for a great place to hold your wedding reception? Cooper Hall located in the heart of Saxonburg Pennsylvania is definitely a place to see. A banquet facility surrounded by a community rich in history. 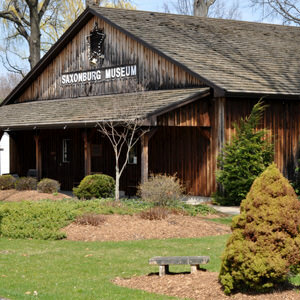 Saxonburg features over 32 buildings that are more than 100 years old. The town was founded in the early 1830’s by two brothers, Charles and John Roebling. John Roebling was an engineer who was credited with inventing the wire rope and designing the Brooklyn Bridge. 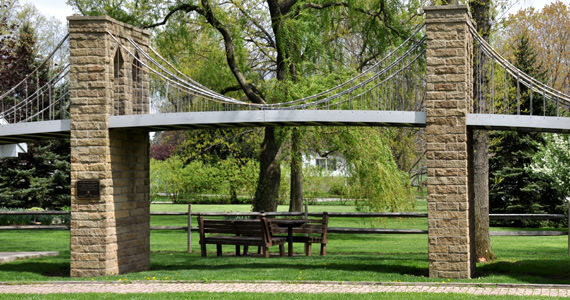 There is even a miniature replica of the Brooklyn Bridge located in the front courtyard of the Museum. Cooper Hall is connected to the Saxonburg Museum, a 6000 square foot facility which was built in 1991. 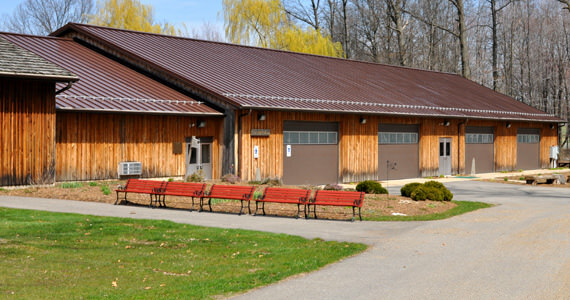 The history of the community is represented in a number of museum rooms, which display artifacts from the growth and development of Saxonburg, since the first settler’s arrived in 1831.
Cooper Hall is nestled within many large oak trees and offers a small hand made pond and large white gazebo, which would be the perfect location for an outdoor wedding ceremony. 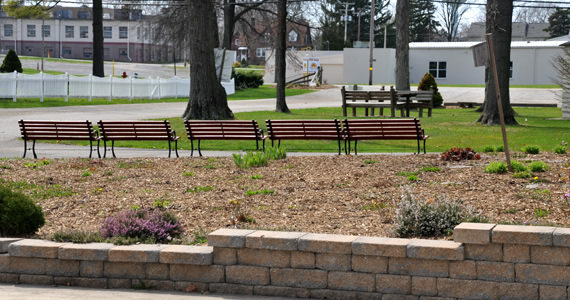 Along with the well maintained landscaping, you have benches made of actual tree trunks. This combination provides you with a place to sit, relax and take in the feel of the historical community that surrounds you. 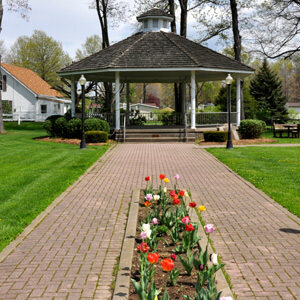 All of these amenities also offer some great photo opportunities for brides & grooms. The inside of the hall is very spacious and will easily accommodate about 250 guests (max of 300), while still leaving plenty of room for your guests to dance. 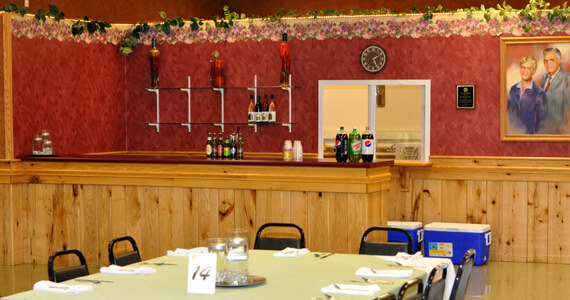 The walls are copper brown in color and have beautiful pine wainscoting panels throughout the room. The bar area is also finished in an elegant pine. The way in which the elements of the art work are arranged, the design of the bar encourages an Italian feel. From the white rope lights that edge the ceiling above the bar area, to the tasteful spice jar’s that hold different oils, spices and peppers, you can’t help but feel a little bit of Italy. 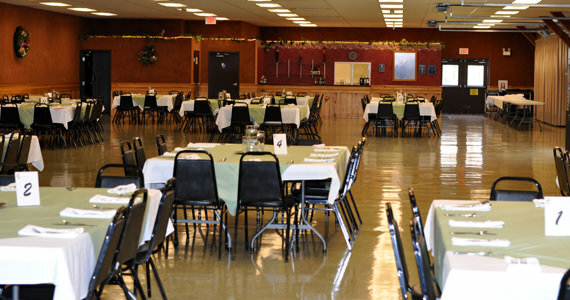 Cooper Hall also offers a large kitchen area with easy access, providing a nice work environment for your caterer. One of the reasons that many brides & grooms find Cooper Hall so appealing is that they allow you an unlimited choice of caterers. 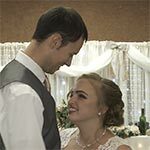 This combined with the ability to purchase your own alcohol can help budget conscious brides & grooms save a lot of money. The down side of course, is that it does require a little additional planning. So if you love history and love the outdoors, this is definitely a place to consider. 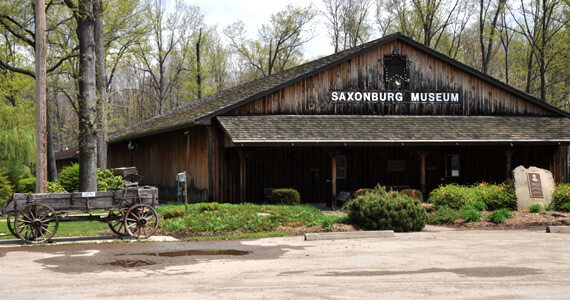 The historic village of Saxonburg has become a great destination and offers visitors a chance to step back in time. 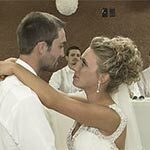 And let’s not forget…It also offer’s a great facility to hold a memorable wedding reception for you and your guests.